Laser assisted cataract surgery: the future? In a recent article, published in the mivision journal, Dr Rick Wolfe assesses the future of femtosecond laser-assisted cataract surgery (LACS) using an evidence-based approach. 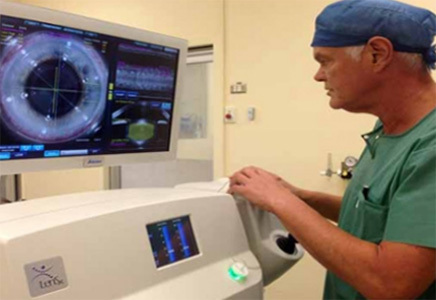 “To its proponents, femtosecond laser-assisted cataract surgery (LACS) is said to be the future of cataract surgery, providing greater refractive accuracy, efficacy and safety. Opponents say they can get the same results with manual surgery. This apparently simple standoff should be easy to resolve, but there are many layers of complexity.” Dr Rick Wolfe writes. This entry was posted	on Wednesday, April 1st, 2015 at 11:27 am	and is filed under In the News. You can follow any responses to this entry through the RSS 2.0 feed. You can leave a response, or trackback from your own site.